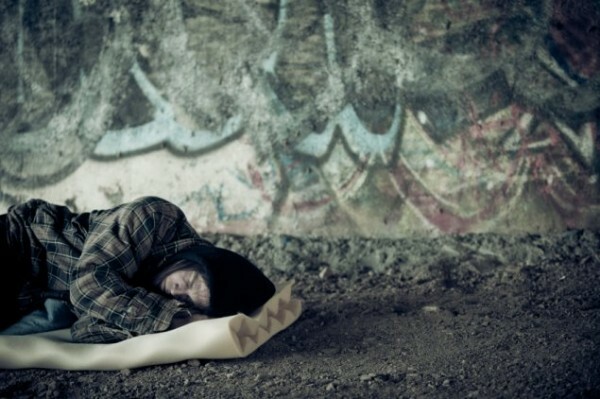 The number of homeless people is rising, says Safe Shelter. Canberra’s icy winter has seen demand spike at emergency accommodation provider Safe Shelter, with the volunteer organisation for the first time having to turn away someone seeking a bed for the night. With the mercury plunging into negative territory for most of July, Safe Shelter says the average number of homeless men at its shelters exceeded six guests per night, with the church halls it uses full on four nights and twice having to exceed the normal limit of eight ‘guests’. 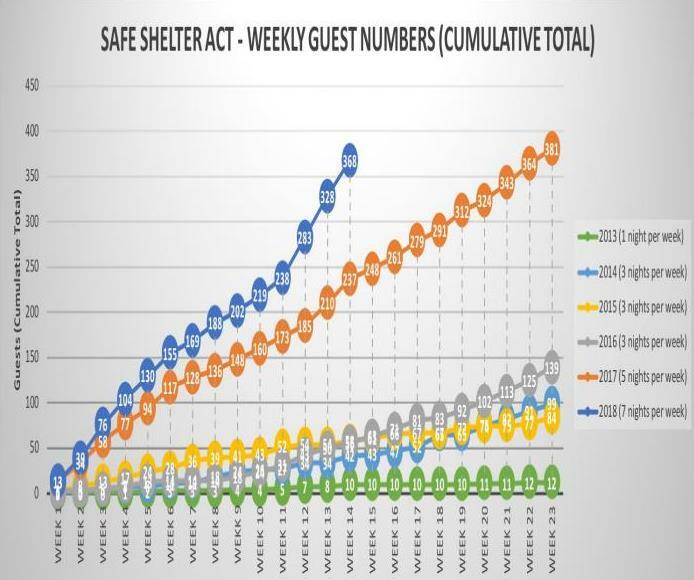 To 28 July, 14 weeks since opening Safe Shelter for this winter, 156 volunteers had welcomed 368 homeless men, an average of 3.76 guests per night, seven nights every week. In 2017, the average number of guests in the first 14 weeks was 3.39 guests per night, five nights each week. Safe Shelter said most of the men were local, with no evidence that interstate homeless men move into the ACT just to take advantage of the Territory’s welfare services. Coordinator Richard Griffiths told the ABC that Safe Shelter had had to modify the halls this year so that some could accommodate nine instead of eight guests. “It doesn’t sound much but it’s got us through on five occasions over the last four weeks,” he said. Mr Griffiths believes that there are a lot more homeless people in the ACT, but Safe Shelter had reached its limit in the inner city with its three shelters. He hopes to expand the one night a week pilot in Tuggeranong. “We can’t do any more in the inner city area, it’s too confusing if we had another cluster of church halls in the city but we’re hoping that the Safe Shelter in Tuggeranong will be able to expand to three shelters,” he said. Mr Griffiths said there was a dearth of supported accommodation in the Territory and nowhere for the homeless to step up to from their present situation. “There’s no space for them, they can’t rent on Centrelink benefits and even the ones with jobs can’t afford anything like the rents that there are,” he said. Hopes of more funding for emergency accommodation in the ACT Budget came to nought and now the community is waiting on the Government’s housing strategy, expected in the next six months. Next year’s bus network changes posed another challenge with the Route 7 bus which currently stops at all three city shelters re-routed several blocks to the east of and north of the Salvation Army and St Columba’s shelters in Braddon. Safe Shelter believes that many on foot and with all their gear may not make it to a shelter, particularly if social services find it harder to explain to them how to get there. The three inner-city shelters are St Columba’s, the Salvation Army halls in Braddon, and All Saints in Ainslie. The Tuggeranong pilot is open on Sunday nights in the Salvation Army’s hall in the Churches Centre in Anketell Street.